Meet Shanghai’s new automated cafe-bar concept that also presents itself as a Spotify for taste. By Rachel He. 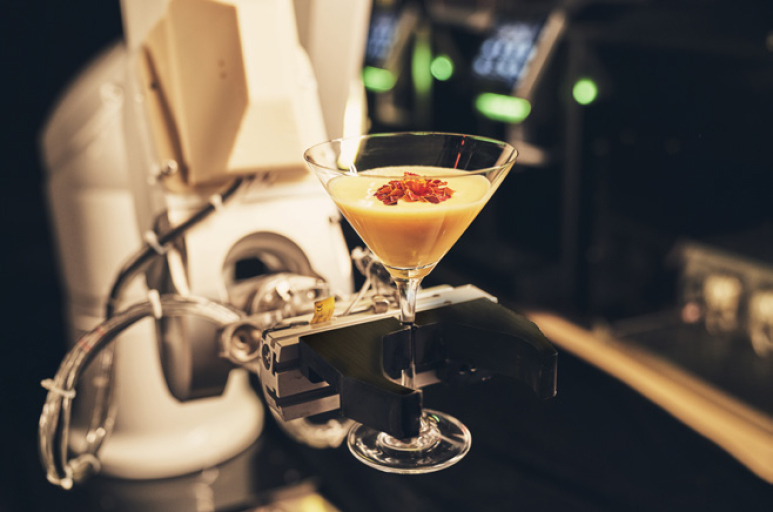 Sipping on a Martini made by a collaborative robot while sat in a shopping mall seems somewhat futuristic, but that is exactly what has been going on at a pop-up cafe-bar called RATIO inside Shanghai’s K11 for the past month. You order and pay through WeChat, and your drink is sent to your table within minutes – it’s even simpler than KFC. Founded by former Yum! Brands chief digital officer Gavin Pathross, RATIO offers over 50 “cobot”-made drinks, covering a fixed menu of coffee, cocktails and refreshers – or bespoke versions made according to your own preferred ratio (hence the name). On average, RATIO makes 400 drinks a day, with an automated production concept employing technology to try solving some of the thorniest problems facing the beverage industry today: how to improve efficiency, how to better serve consumers consistently with drinks they love, how to crack the mass market – “democratising cocktails”, as they say – and all the while still give bartenders credit. 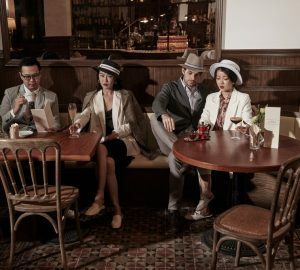 “I founded RATIO because we found cocktails are an underdeveloped market in China,” Pathross says. “Cocktails are not accessible to every person. 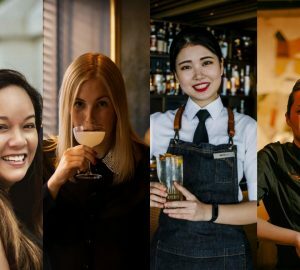 Many people are scared by the high-end image that bars embrace.” Indeed, you can see RATIO’s positioning is quite different from the typical craft cocktail bar: located in the K11 shopping mall, there’s broad mix of customers, many of whom are uninitiated drinkers. It’s more like a coffee shop where you can also grab a cocktail or two as (in Pathross’s words) “a social lubricant”, and you could just as naturally order a cocktail in the afternoon as the evening. 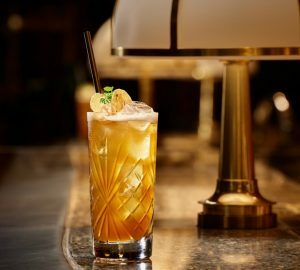 RATIO’s wide-ranging fixed menu features everything from classic twists such as the RATIO Old Fashioned (see recipe below), to the Asian-accented Tokyo Gin Fizz and the dessert-inspired Cheesecake. Once you click on a drink through RATIO’s WeChat page, you also see its ingredients and flavour profile. Most drinks come out lighter and sweeter – again, with one eye on the mass market – but there’s also a surprisingly ambitious range of ingredients in play, including curry-infused rum and pandan lattes. The real fun arrives when you order a cocktail away from the fixed menu, however. The bespoke section works brilliantly, especially for new drinkers, allowing you to build your own drink by tapping on preferred flavour profiles then ingredients. You can even order the drink to be shaken or stirred. If technology is at the root of RATIO’s mission to bring cocktails to the people, the phone ordering user experience will be a big part of any success. Once you place an order through WeChat, the robot delivers the drink in around two minutes (plus a little extra time taken for garnishing – from a human). You could easily order once you leave the metro, and have the drink waiting for you as you walk in the door. After receiving an order, ice added from an ice dispenser, the robot arm goes to the bottles held in a rack above holding a tin. Then the tin is pressed against the bottle’s dispenser to get the right dose of spirit (or other ingredient), and the drinks shaken. (Stirred drinks don’t use a barspoon, but are more accurately shaken slowly.) The r&d team trialled many different codes for shaking time and ice to make sure drinks are diluted and chilled correctly, with different commands for different drinks. Other tricks see compressed carbon dioxide used (instead of ice or fridges) to cool glasses – in just five seconds, a cold glass will be ready for any shaken or stirred drink. 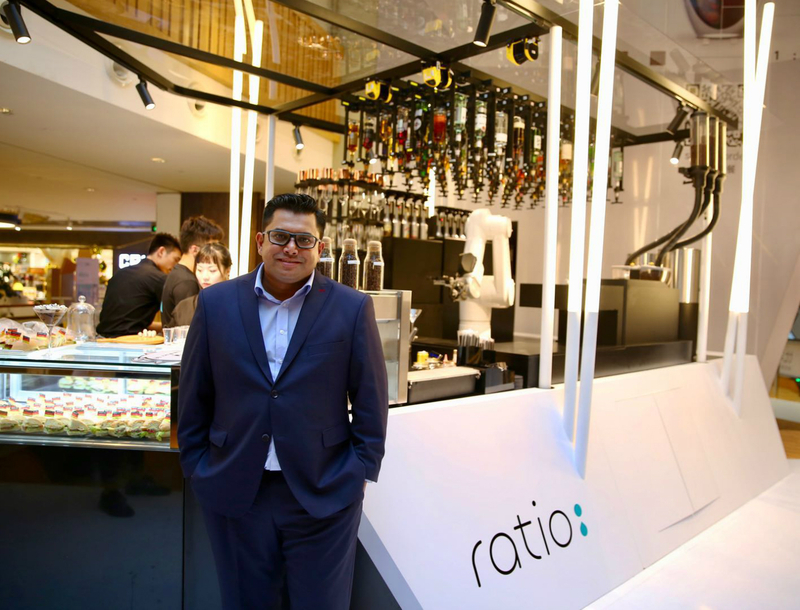 With former Costa head of product development (APAC) Steve Teo taking the lead as chief RATIOlogist, RATIO now designs all its drinks internally. Homemade ingredients are currently made at the pop-up by a human bartender, but according to Teo, once RATIO scales up, even that manufacturing process will be centralised – for the same pursuit of consistency as provided by the robot. But RATIO is more than just creating a more efficient beverage-making solution. It also presents itself as the Spotify of taste – making recommendations from a customer’s previous bespoke drink data. It also wants to shine a light on great drinks crafted by worldwide bartenders, just as Spotify introduces listeners to new music. “We’d like ourselves to be a cocktail distribution platform. 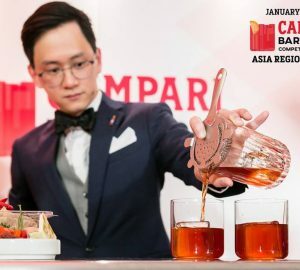 We’d like to borrow recipes from world-renowned bartenders and pay them a royalty, so even in a third-tier city in China, people could enjoy great cocktails originating from Dante in New York City or 28 Hong Kong Street in Singapore. Bartenders should earn a premium from their talents,” Pathross explains. A permanent venue at Raffles City (in People’s Square) is planned to open in mid-August after RATIO shuts down its pop-up on 7 August. With a total space of 150 square metres, the RATIO store will adopt a similar design style: simple, modern and easily transforming into a lounge bar at night with shifts in music, aromas and lighting. The starting price for cocktails drops from ¥68 to ¥58 – taking into account the reduced night-time cost of manpower. Pathross reveals that there will be five more stores opening in Shanghai this year, and the team is also avidly looking at other cities and overseas markets such as Singapore and Thailand. RATIO has already partnered with a global restaurant chain, franchising its technology to help the group serve alcoholic coffee at their new locations. 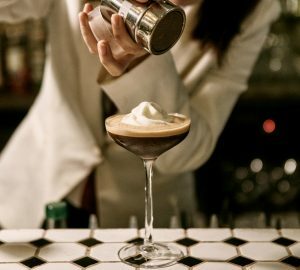 This is perhaps RATIO’s most persuasive growth story – the ability to deliver precise and consistent cocktails at a global scale, just as McDonalds are able to offer Big Macs that taste the same the world over. RATIO isn’t another cocktail-making novelty robot story, with zero impact on the real trade. But nor exactly is it a bartender terminator, coming to take your job. The goal, according to the RATIO team, is not to replace humans, but to liberate them from repetitive work and focus their talent on creativity and hospitality. And, crucially, to open up cocktails to the masses. 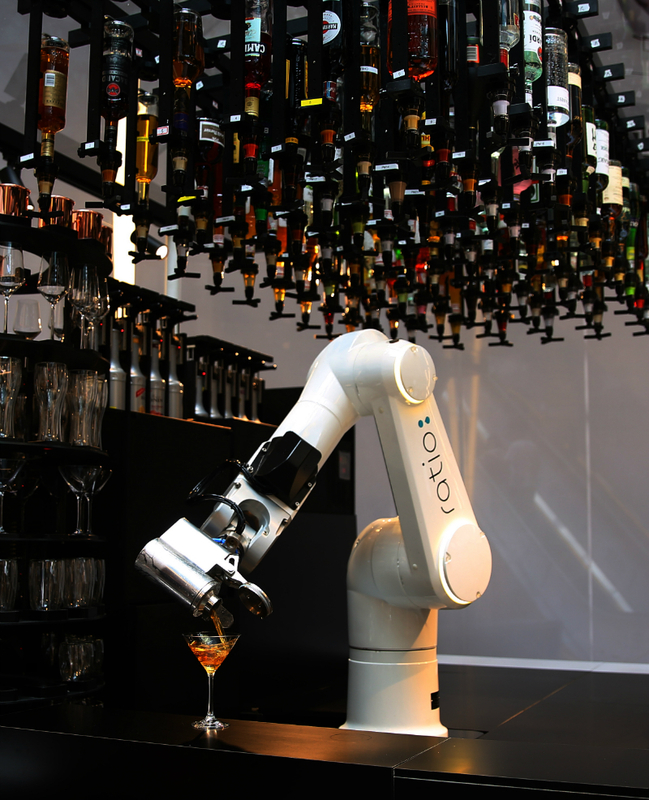 Nonetheless, that cobot arm is a reminder from the future, especially for those just starting out behind the bar: work hard, learn as much as you can, and think big, because the industry is changing. RATIO pop-up B2, K11, 300 Huaihai Zhong Lu, Huangpu district, Shanghai. RATIO permanent store Raffles City, 268 Xizang Zhong Lu, Huangpu district, Shanghai.